The above oil on panel triptych and is the work of the 15th century North Netherlandish painter and designer Master of the Virgo inter Virgines. The artist, named after a picture representing the Virgin Mary with the virgin saints, effectively combined intense colours, desolate landscapes and gaunt figures. 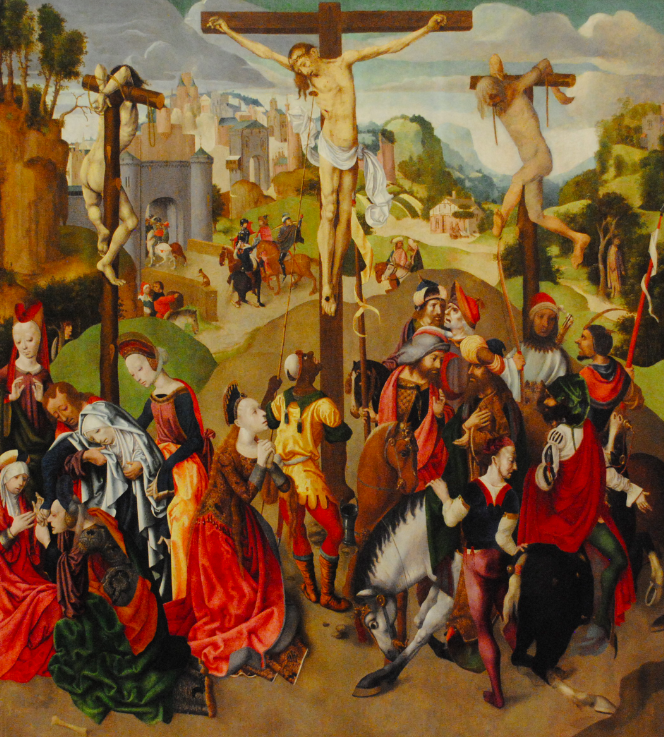 Dating to between 1490 – 1499, the painting depicts the stages of the crucifixion of Christ. 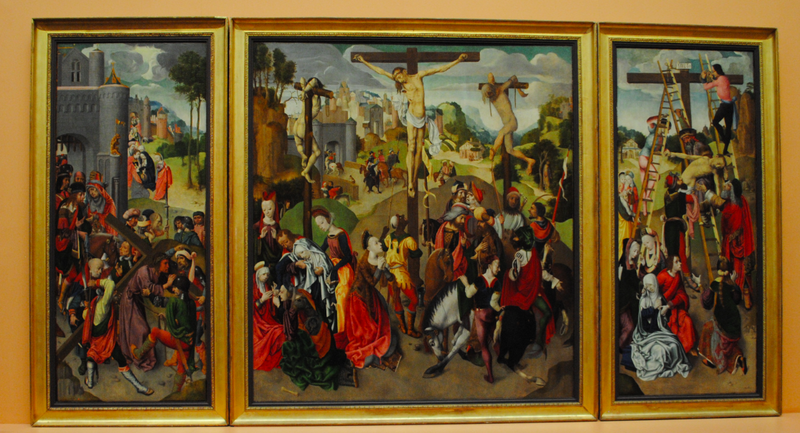 In the left panel (below left), Christ is helped by Simon of Cyrene as he carries the cross to the hill of Calvary. In the background, beside the city walls, St John the Evangelist and a female figure console the Virgin Mary. The central panel (above) shows Christ between two thieves receiving the sponge soaked in vinegar. Mary Magdalene stands at the foot of the cross next to a group of mounted soldiers. The gates of Jerusalem and Judas, who hanged himself in remorse for his betrayal of Christ, appear in the landscape background. The Deposition is represented in the right panel (below right) and depicts Joseph of Arimathea and Nicodemus helping to take the body of Christ from the cross for burial. This work belonged to the Duke of Lucca who purchased it from the church of Lucca.